800WrapMyCar is dedicated to delivering effective signage to promote image, and provoke interest. We create eye catching custom vehicle wraps to promote, advertise, and grow your business. One of the best ways to do this is by wrapping your vehicle to brand your company in a way that captivates your customer’s attention and ultimately retain their business. We offer custom big rig wraps for your truck or trailer’s blank canvas. 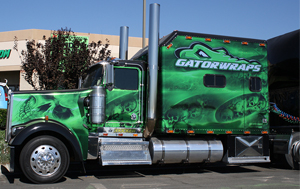 We are capable of giving your big rig, truck, or trailer a new look with a wrap that can cover your entire rig. You can also choose from a solid color or go big with a full graphic. 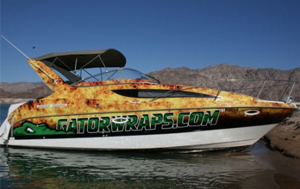 Whether your interested in a full boat wrap or partial boat wrap, we have the wrap for you. We use only state of the art digital graphics for all of your boat wrap and lettering needs. Our boat wraps are durable, washable and long lasting products. Brand your bus with the bus wraps available from 800WrapMyCar. We have various bus wrap options. Bus wraps give advertisers the opportunity to create eye-catching ads that captivate the attention of consumers and make it impossible to ignore. We offer car wraps for all sorts of vehicles and transform them into captivating mobile advertisements. 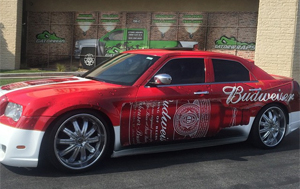 A creative car wrap can turn your car into a work-of-art that gets attention. Check out our car wraps gallery to see what we’ve done for companies to enhance their brand. 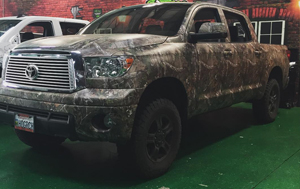 Get noticed (or not) with a camo truck wrap. 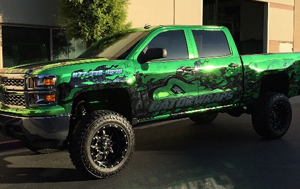 We offer a wide selection of camo truck wraps including but not limited to camouflage patterns. We only carry the highest quality camo vinyl. Your satisfaction is always priority here, so if you can’t find the camouflage vehicle wrap, camo truck wrap, or camouflage vinyl prints, give us a call and we’ll take care of you. Getting your personal or business brand out in front of customers or people is a essential for success. One of the most cost-effective ways to accomplish this is with a custom car wrap. These car wraps are perfect for people who would like to either change the coloring of their car or have something where they can advertise their company or business. 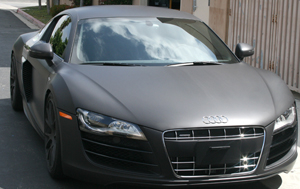 Matte black car wraps are very popular right now. 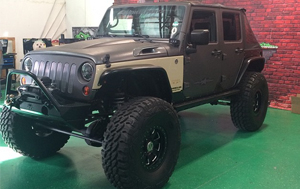 At 800WrapMyCar we’ll make sure your matte wrapped vehicle turns heads and become the envy of other drivers. 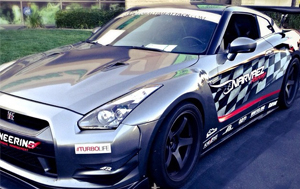 We make our matte car wraps from choice vinyl. Our matte vehicle wraps are available in black, gray and silver. Grow your business with some fleet wraps. With our fleet wraps, you are sure to increase business. Whether they are truck fleet wraps or partial fleet vinyl wraps, our eye-catching graphics can catch the attention of many on the road. This is by far, one of the best ways to turn your vehicle fleet wraps into mobile marketing machines. If your looking for a race car wrap or graphics, look no further. 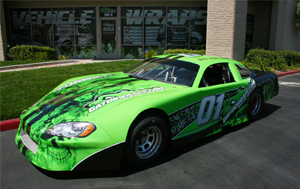 We’ve got the best racing graphics designers on staff who can create you an impressive race car wrap. We can provide striking vinyl lettering that can be applied to just about any type of race car vehicle. Our RV wraps are the best way to customize your RV or mobile home. We offer full color graphics for any part of your vehicle. 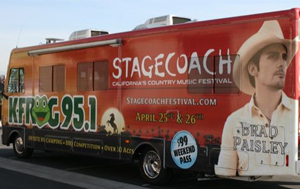 We can do a full RV wrap or a partial RV wrap and give you the look and feel that you desire. 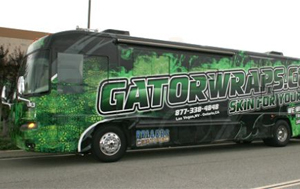 We offer professional RV Wrap installation and only carry the best materials. There are very few forms of advertisement that can compare to a trailer wrap. A trailer wrap can be seen by others while sitting in traffic, driving up the street, and onlookers. Your trailer wrap will always be visible to those in your town and others driving up the road. Consider a truck fleet wrap or some truck fleet graphics as a way to grab the attention of your prospective customers. Sometimes just having your business name and phone number isn’t enough in today’s ultra competitive environments, you need to create a mobile billboard that turns heads and ultimately grow your business. 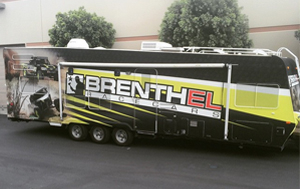 We offer services for wrapping food trucks, concession food trucks, and fleet trucks. 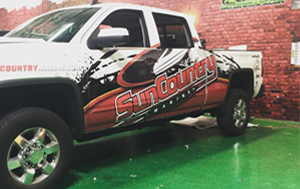 Our truck wraps and truck graphics are a cost-effective way to place your brand in the mind of potential customers. It’s an affordable way to help companies stand out from their competitors. 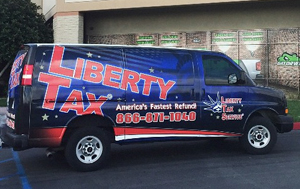 Wrap your company van with your logo and colors. 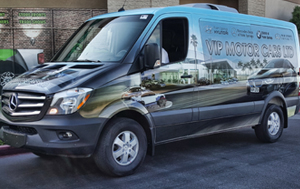 Display your messages on every side of your van with a wrap to maximize potential customer visibility. Use our van wraps to take your message on the road and spread your message everywhere you go. Use your vehicle to help advertise your business. By advertising on your vehicle, you can generate more visual impressions than any other type of marketing channel. 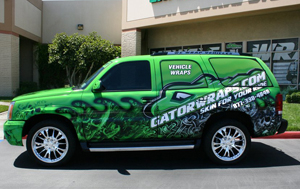 Make a big impression with your potential customers and add a series of vehicle wraps to your fleet. Add a truly unique look for your vehicle with this innovative series of matte, gloss and 3-D textured Vinyl films. This is a great way to advertise your business’s information with a logo, website and phone number.